Experience the best of New Zealand, both inside and outside of the classroom! Here are a few tips about what you’ll need to bring with you and what to expect when you first arrive. If you get lost, or cannot see your name on a sign, ring our Emergency No 027 2944925. We will also introduce you to your “buddy” – another student who will show you around in your first few days. You will be expected to wear a school uniform if you are in Years 9 to 12. You will choose your subjects and be given a timetable. There are 5 classes a day, one hour for each subject. School begins at 8.40am and finishes at 3.15pm. Your homestay family will provide you with lunch, or you can buy it from our school shop. If you are late, you must sign in. If you are absent for any reason, your homestay must notify the school by phone. There is a huge range of sports and cultural activities offered at school. 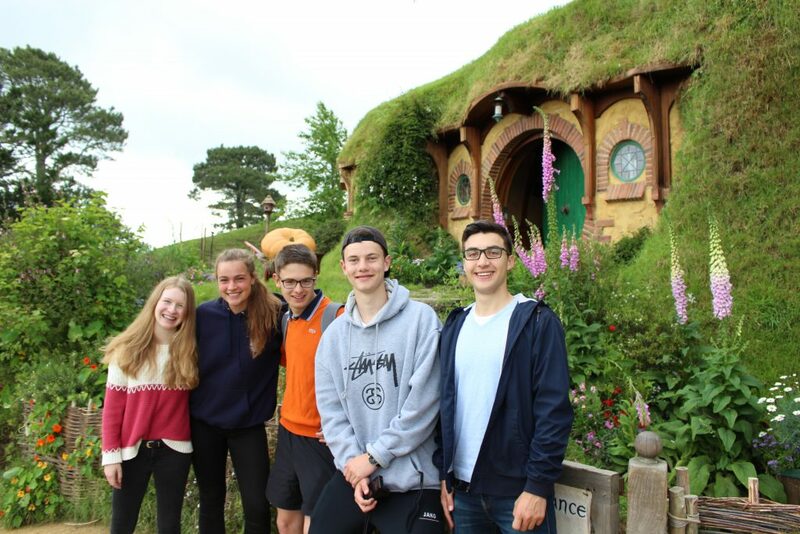 We recommend you join a club or a team – it is the best way to get to know other students. Pakuranga College also offers a huge range of sports and cultural activities for you to take part in. It’s a great idea to join a club or team as this will help you to make friends!